*Sandcastle Stamper* : CCEE: Tongue Twister Day! There's a new challenge at the CCEE Stampers and it's a fun one! Today is Tongue twister Day! Most languages have their own versions of tongue twisters. In sign language, they are called “finger fumbles”. 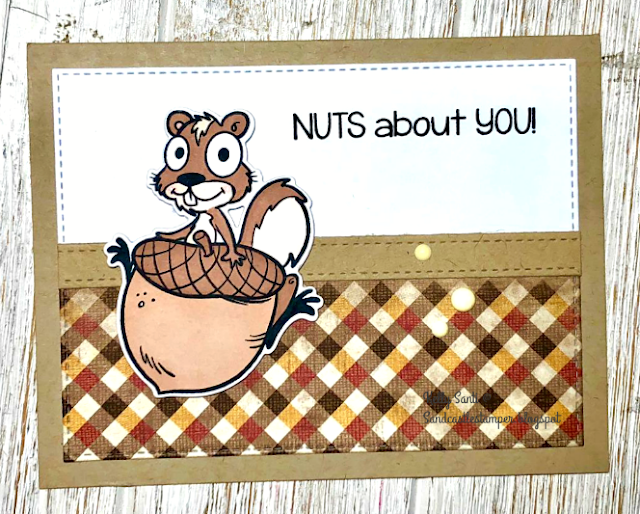 Use a tongue twister to inspire your card! regarding nuts. Or squirrels. Or squirrels with nuts! Nine nimble noblemen nibbling nuts! 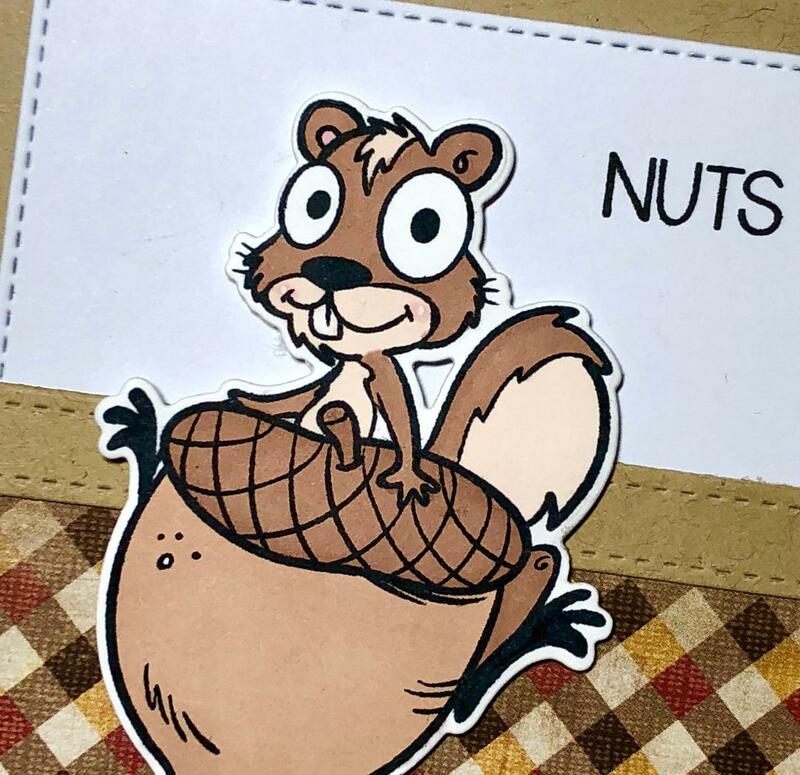 Here is my nut inspired card! I kept my card pretty simple - using a new trick today! The front of this card is actually the inside of another card from last year! ran a border die across it and created a panel look. I love love LOOOOOVE when something old is new again! Speaking of love, look at this squirrel cutie! You can see all the DT cards here on the blog! 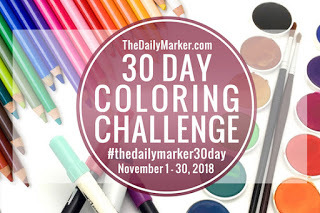 I''ll add this to the very talented Kathy's blog post link up! You can find the information here! Awww nuts, this is adorable! Great card for fall Kelly! I love the expression on that little guys face. Aaww! This little one is just adorable! The Fall plaid background is perfect! Fun image to go with the N tongue twister. I really like the addition of the plaid. That squirrel is just to darn cute!! LOVE your Fall colors and fun tongue twister! LOL!! I love squirrels and this one is so fun with his nut!! Great recycling, you are so clever! 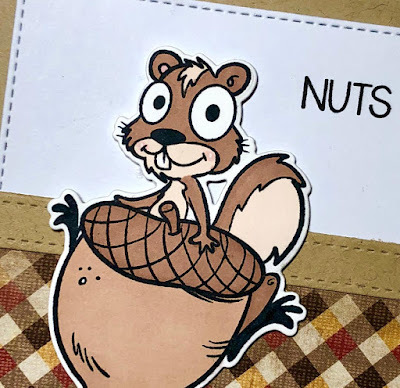 What a cute card--I love the dies that you picked! Oh my... what a cute CUTE image! You have created a fabulous card, Kelly! Adorable squirrel- my husband is so squirrel obsessed (as was his father). Love this great fun card! Love how you repurposed the panel. Fun tongue twister too! LOL! 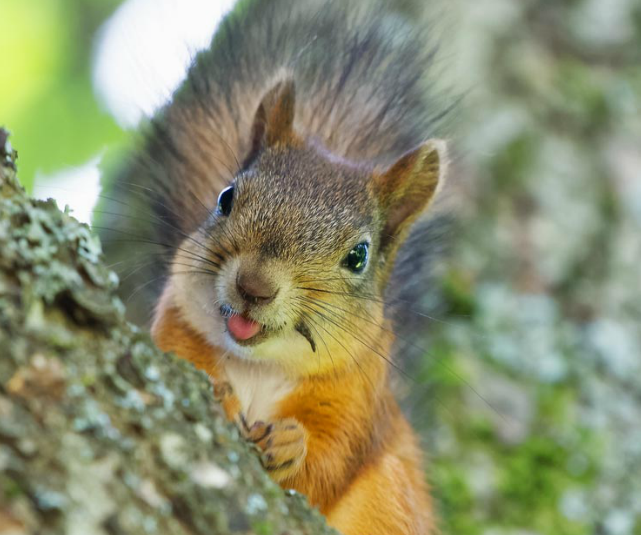 That squirrel looks like he's up for some trouble, such a cute face! And nice use of an unused card. I like your little sign language fact about finger stumbles - I do tend to learn little interesting facts just about every visit to your blog. This is too fun. Love the sentiment. I have lots of trees, therefore lots of squirrels in my yard. Love this fabulous card, Kelly!! Lots of nut-nibbling going on in my front yard these days!! What a gorgeous fun card Kelly - and a great way to up-cycle! Love it, I saw my first squirrel last year, they were so fast you did well taking this photo. CYS: Masculine with a die cut! 3M: Santa's Coming to town ..
Crafters of Faith: Rejoice always!